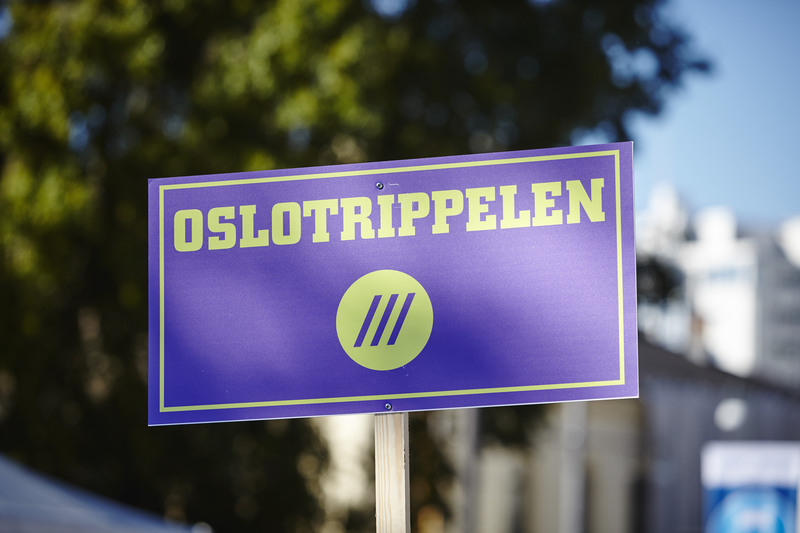 Oslo triple is a 73 km run where you run the combined Marathon, Half Marathon and 10 km in the BMW Oslo Maraton. 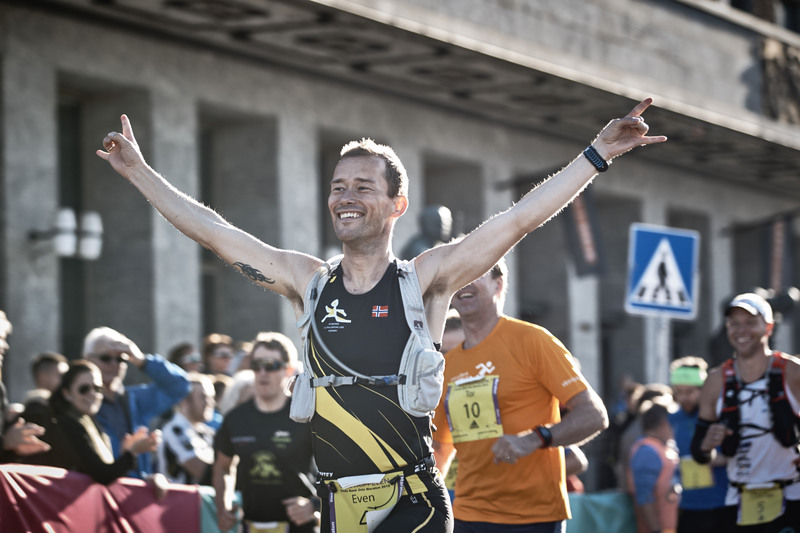 BMW Oslo Marathon takes place on the 21 September 2019. The first distance you run in the Oslo Triple is the Marathon. In 2018 the start time for the Marathon was at 9:25 am. The start time for 2019 has not been set yet, but is expected to be approximately at the same time as 2018. Final start time and groups will be published closer to the event. All entrants for the Oslo Triple must be 18 years or older. * Administration fee (NOK 20) and one-time license (NOK 50) will be added. If you have a full-year license, this can be registered when you enter, and you will not be charged for a one-time license. Finishing the Oslo triple requires that you manage to get to start for the next distance before the last group starts. This means you must finish the Maraton in time to start the Half Marathon before the last group for this distance start, and you have to finish the Half Maraton in time to start the 10 for Grete before the last group for this distance starts. The Oslo triple follows the stated start times for each distance, and participants can choose which starting group they would like to start in. Start and group times for 2019 will be published closer to the event, but it is expected they are only subjet to minor changes from 2018. 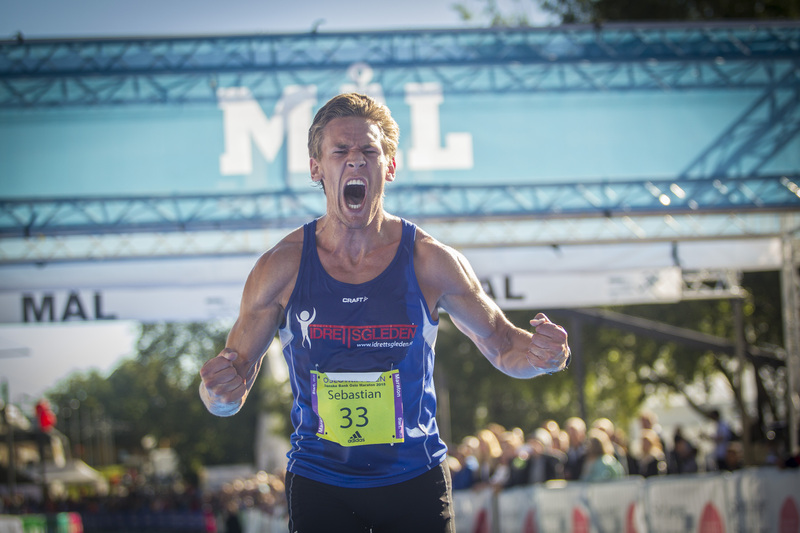 Each runner will receive results on each seperate distance and a total time for the Oslo triple. On the 21. September, all runners of the Oslo triple will be placed in a seperate tent by the start/finish line. Everything will be here for each individual runner so that they can focus on the actual race while Oslo Marathon worries about the practicalities. The week before the race day you will receive a starters card to your e-mail. When picking up your bib you must show the starters card together with a valid ID. Thursday and Friday you can pick up your bib at the Expo on Rådhusplassen. On Saturday (raceday) you will find your bib in the Triple Tent. If you want to pick up a bib for a friend or familiy you must bring a copy of their starterscard and valid ID. Triplecontestants can store their luggage in the Triple Tent. We recommend you mark you belongings/bag with your bib number. Do not leave valuables. All storage is at your own risk. There will be some food and drinks at the Triple Tent including bananas, water and sportsnutrion from Maxim. There are also drinking stations along the trail. Please see trail map for more information. All triplecontestants can change in the triple tent. There will also be placed two toilets next to the tent. All entrants for the Oslo Triple will receive an email with information before the event. This will tell you exactly where you can pick up your bib number, how to find the TripleTent on the event day and other important information specially for the Triple entrants. For general information about bib number pick up, luggage storage, or other questions regarding your entry or the race day please see the Runner Info.